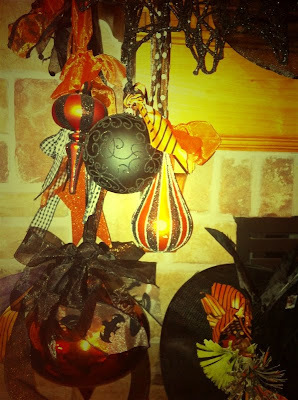 When I tell you that I come from a family full of witches... you have NO idea! 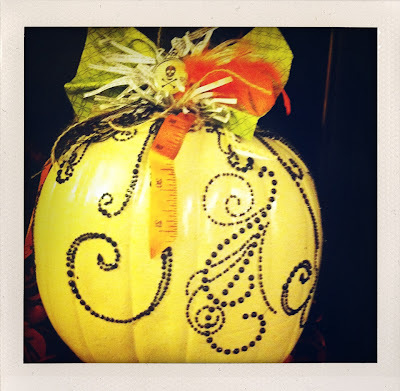 and headed to a Witches Night Out sale at a St. George boutique. and witches was what we found. The store had a costume contest and had hired the next door neighbor photography studio to take pics of all the contestants. 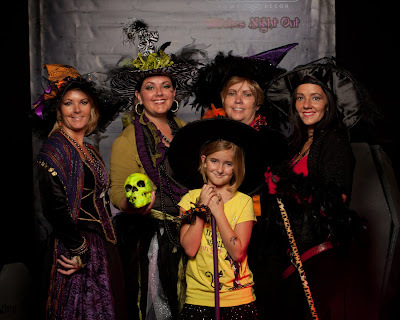 We put a spell on the photographer to take a few group shots as well. Carmen is my sister Jody's mother in law and Neva is her friend. We had room for all! Here are our individual shots! Me... I had the same old costume as last week. Meg- She decided at the last minute to join in the witchy tradition so we threw together a Halloween shirt and a mini-skirt. 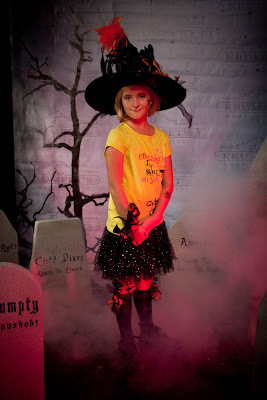 She had a darling hat and Halloween ribbon helped out as well... INSTANT COSTUME! 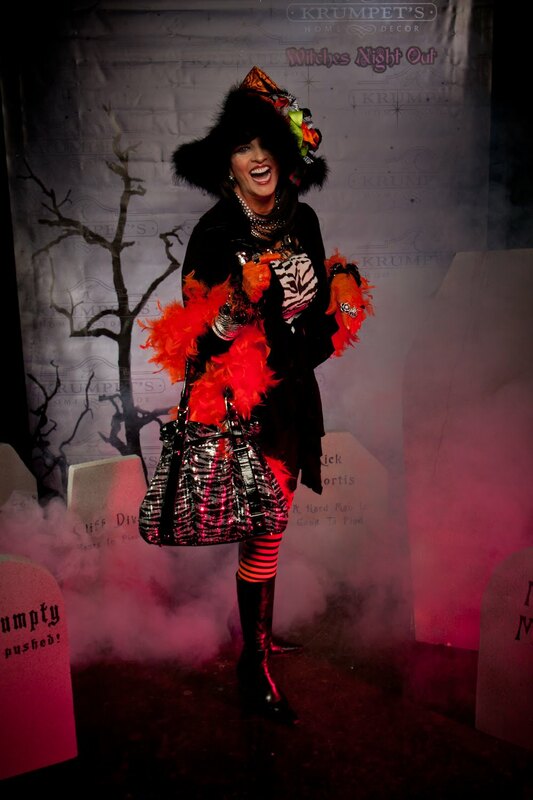 Here is the MOTHER of all WITCHES... Viv! She is the Queen of Halloween! 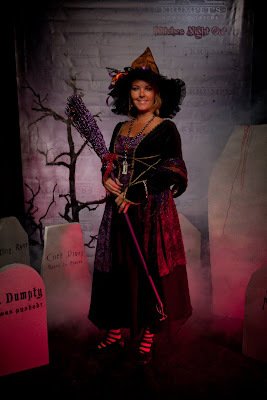 Brandy was the costume winner in the "Bad Witch" category. 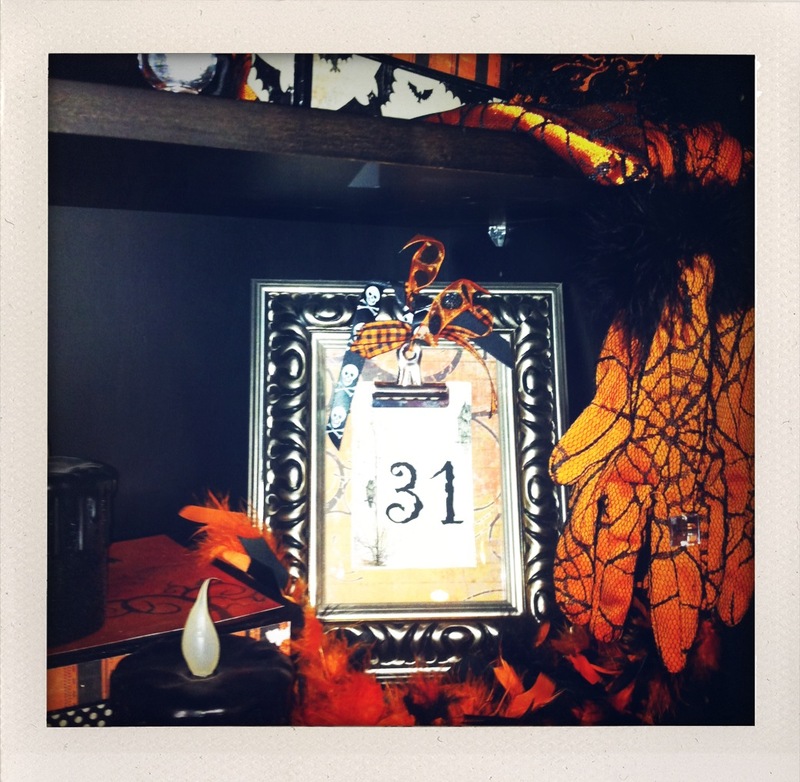 She won a $50.00 gift certificate. She was the true costumer that night... She found most everyone's costumes for them. She has been Wonder Woman, A flapper, a Witch, etc. etc.. The amazing thing about her is that she makes fabulous coordinating costumes for her entire family... all theme related and matchy. This is Carmen Snow, Jody's mother in law. She was the "Most Glamorous Witch" winner. We ended up at Olive Garden for little bite to eat. wanted to have a picture taken with us. I now know what it feels like to be Cinderella at Disneyland... JUST KIDDING! I have never cackled so much! 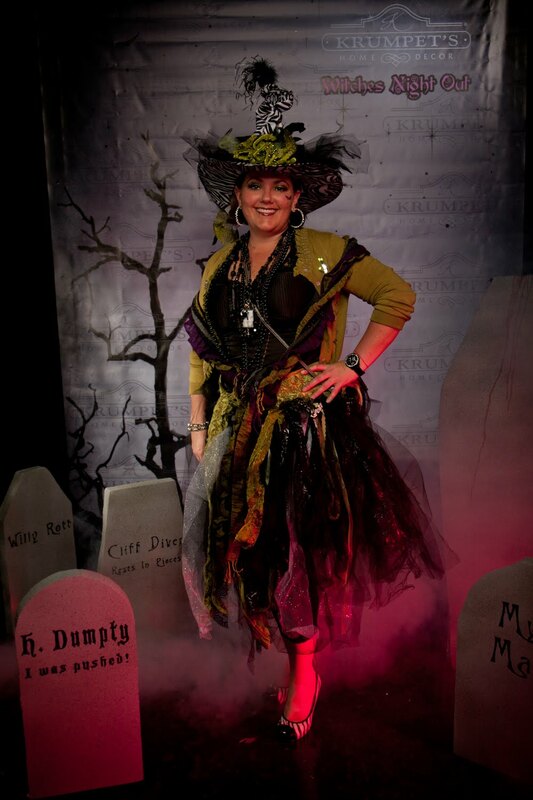 Darrin Adams, host of KSL's Studio 5, dropped in for some Halloween fun. I thought he just came over because a friend of his was invited and told him to swing by. He had his camera and took pictures, but I didn't know he would talk about it on his show. Imagine my surprise when I heard my little witches' brew made the local TV. 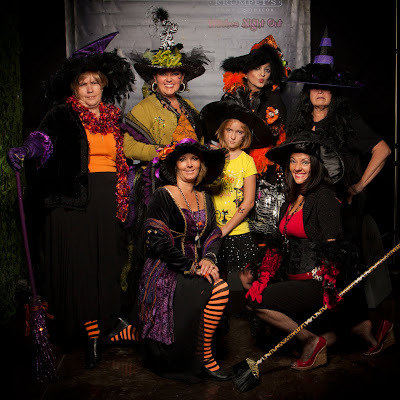 I was thrilled with all the effort my witchy little friends put forth! good ones, bad ones, and just plain old fabulous witches! 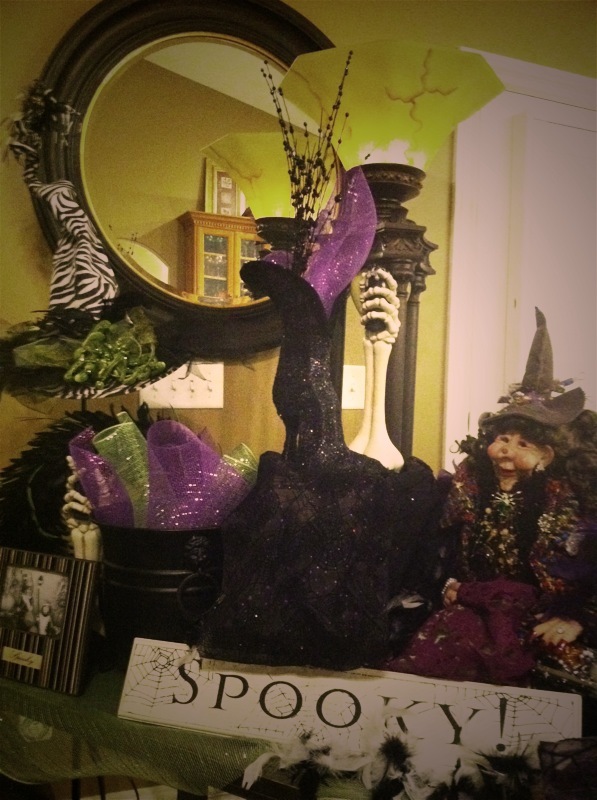 My entryway... welcoming all witches... dressed like witches, that is. What's a witches' brew without some witches' brew? We had yucky straws... and cute cups! Drinks always taste better out of a cute cup! 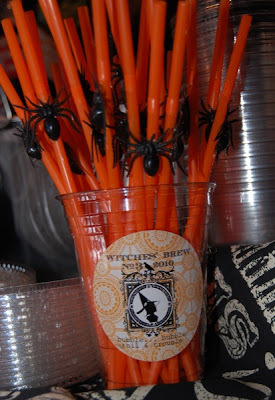 Even if there is a spider on the straw... witches like that! 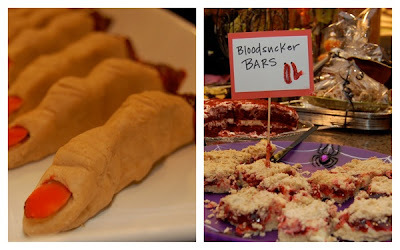 Lots of fun food was served... thanks again to all the witches for their fabulous potions! 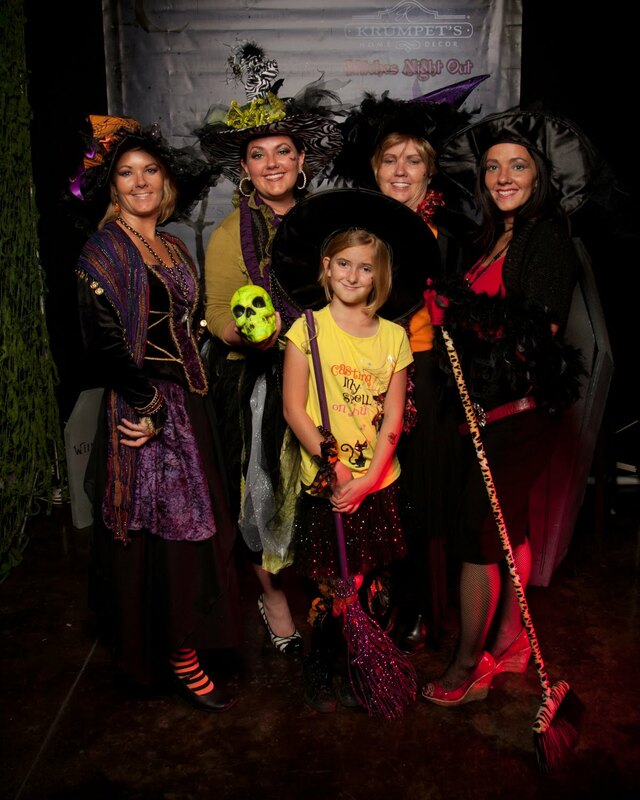 It was such a "spooktacular" night! Yes, even more than December! The fall scenery is AMAZING! The fall tasting good is DELICIOUS! with a few little changes and additions here and there. 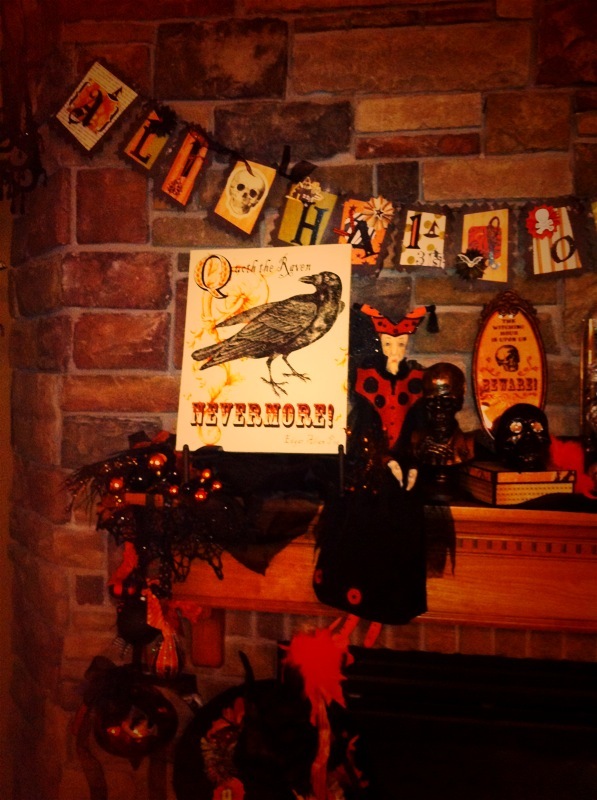 When I was little my mom had some Halloween pictures we would hang on our big front window. We also had the gauzey ghost and some freaky jack-o-lanterns. 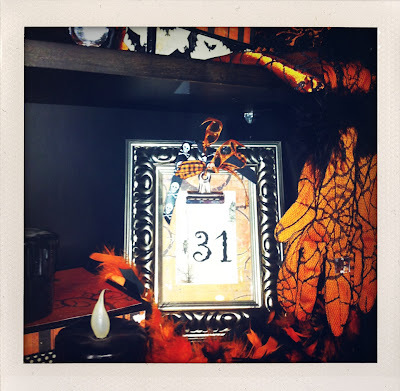 But the excitement was when Viv would say, "If we wash the window then we can hang the Halloween pictures". 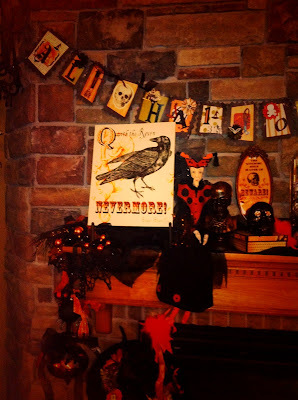 I don't know if it was proclaiming to the world that we were decorated or just the excitement of the time of year, but it was something that I still think of every year as I put my own Halloween decor up. 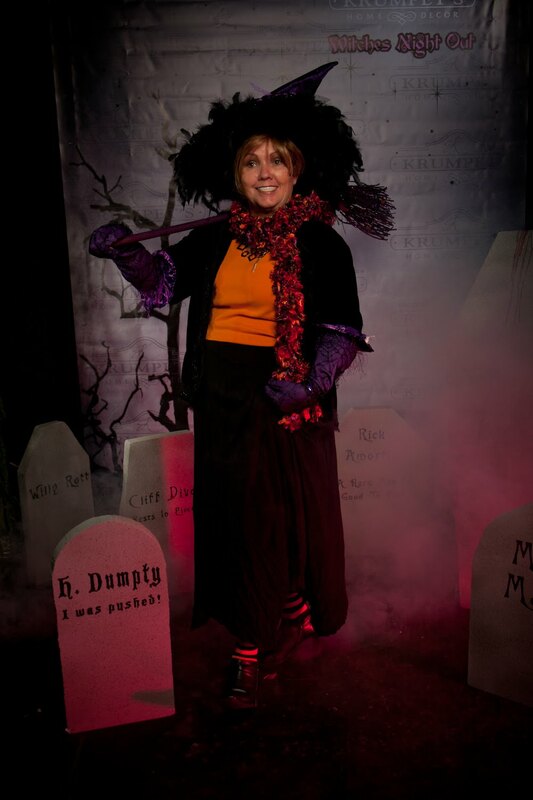 Halloween putter-upper this year and she told Vivian she was not allowed to but one more witch or pumpkin. She wasn't decorating a 10,000 sq foot house for Halloween... but she could. I did get a new witch! She is the sister to last years addition. I think I am naming her Penievia. & just enjoying this magical month! I am making homemade applesauce and soup today! It is a perfect lazy Sunday. This week the weather is supposed to feel more like fall!